My wife and I now divide our time between Windsor, Colorado, and the south of France, where we have lived for the past 27 years. We consider ourselves citizens of the world. I earned my Master's Degree in Seventeenth Century English drama from St. John's University in New York, and I have pursued my doctoral studies in the same field at New York University. The discovery of a 450-year-old diary by Michael Devon’s friend was the beginning of an intriguing quest. Michael was working on a book on the Shakespeare authorship controversy. An old friend, Hank, (nickname for Henrietta Claudia Wells), owned a secondhand bookstore and loved to find rare books. When she contacted Michael and offered him a newly discovered journal, he could not resist. The diary was written by Henry Howard, the 17-year-old son of Henry Howard, the Earl of Surrey, while he was a student in Paris. The detailed depiction of life in the mid-1500s is one of the treasures found within the historical novel, The Fall of a Sparrow, written by Dan Scannell. Young Henry is a masterful writer as he describes life with his friends, forays into the taverns and streets, and the dangers within the populous city. In the Afterword of the book, Mr. Scannell notes, “This book is very much about language, the beauty of its texture, the force of its eloquence, and the music of its cadences.” This is a wonderfully accurate description of the book. There are many facets to enjoy in The Fall of a Sparrow, such as the descriptions of Paris during this time, several real-life characters, and the eloquent style of writing. Because Michael transcribed the difficult text to understandable, modern day language, the reader is able to easily follow Henry’s adventures. At the same time, the essence and beauty of what Henry wrote was certainly captured. 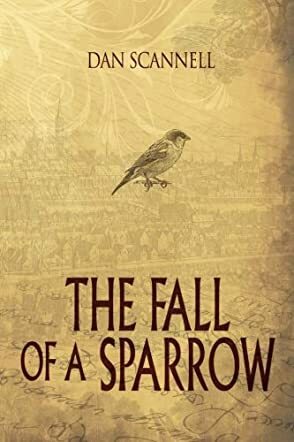 Author Dan Scannell has created an exquisite, captivating historical novel in The Fall of a Sparrow. It is truly a gem. This book is so good! I absolutely enjoyed reading this incredibly written novel! Can't wait to see more of Dan Scannell!